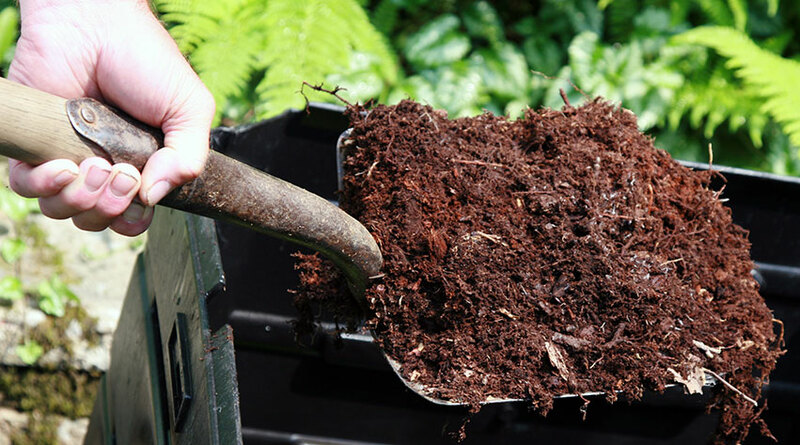 If you’re struggling to get good results in your garden, then DIY garden compost could be a secret weapon. Making your own compost can save you money too, – great if you’re gardening on a budget – and it’s completely organic. Here are our tips on creating a DIY heap. First things first. If you’ve got limited space and a massive heap isn’t an option, then it’s best to pick up a specifically made compost bin. They’re usually compact, so they’re ideal for yards and smaller gardens. Your local council may be able to supply you with one, but if not you can easily buy one from your local garden centre. A good location will help to break down compost more easily. You should go for a level, well-drained spot; otherwise you run the risk of the compost being too waterlogged. It will also ensure the worms can move around and do their job of actually breaking everything down. You should also cover your heaps with old carpet, black polythene or a piece of wood to stop the contents from getting too wet (if it doesn’t have a lid). These are very quick to break down and will provide the heap with extra moisture and nitrogen. It’s also a good idea to try and give the heap a bit more fibre using things such as cardboard egg boxes, scrunched up paper and any extra fallen leaves. These materials will be slower to rot, but will allow important air pockets to form in the mix. If you want to add some extra minerals, throw in some crushed eggshells. You should add material to your compost heap throughout the year, but remember that the rotting process will take longer during the colder months. Remember to mix grass cuttings with some coarser material before adding them to your heap, and if you’re adding woody material, be sure to chop it up before composting. It’s important to avoid adding too much of one thing to your compost. Try and maintain a balance between the materials added and add material in different thickness in layers to make sure that the contents are aerated. You should avoid glossy paper from magazines but you can add shredded paper and cardboard in moderation. Don’t forget that you shouldn’t add grass clippings from lawns that have been treated with weed or moss killers or given a ‘weed and feed treatment’ until a month after the application as these chemicals will still be in the cuttings. The last thing you want is a plant killing chemical in your compost! The key part of ensuring you get good compost is making sure the mix is right. You need to balance your use of ‘brown’ materials with your ‘greens’. Too much brown material will usually lead to the compost drying out, and too much green will lead to it being too wet. And remember, scrunched up bits of cardboard are great for ensuring that those essential air pockets are allowed to develop. If you want to give your compost heap a bit of a push, then consider using a compost activator. This will help encourage the correct enzymes to flourish, turning your grass leaves and garden waste into a nice rich, dark compost in far less time. This is also worth trying if your compost heap is in the process of dying out: the activator will often be able to completely revitalise it. Garotta is a great compost accelerator which will help to speed up the rotting process. It may also be worth buying some worms (aka a compost heap’s best friend) and putting them into the bin. They’ll gobble up the waste material and then convert it into both liquid feed and compost. Don’t worry if your bin never fills up – the contents will shrink as they compost, so if you never have a full bin, the process is working! Another freebie from Mother Nature, fallen leaves make a great addition to compost. If you’re going to store a particularly large amount of fallen leaves you could consider using a biodegradable bag to speed up the process. Once the sack has degraded, you’ll have a lovely pile of great compost ready to go, at the cost of pretty much nothing. Perfect if you’re on a strict budget. Good compost is ideal for improving quality by both helping it to retain any moisture and also for suppressing weeds. It’s one of the most useful things you can use in order to improve your garden, and if you go for the organic approach you’ll massively cut down your need to use chemical fertilisers and pesticides. When your compost is ready, you should either use it straight away on your garden or if you don’t need it immediately it can be bagged up and stored where it will continue to mature.